National agency for funding, developing and promoting the arts in Ireland. Support and representative body connecting community and voluntary organisations and charities across Ireland. The Migraine Association of Ireland [MAI] is a registered charity dedicated to improving the quality of life for the 12-15% of our population who suffer from migraine. The Neurological Alliance of Ireland (NAI) is an umbrella organisation for groups representing the views and concerns of those affected by neurological conditions. Cheshire Ireland, in partnership with the Health Services Executive, provides a range of supported accommodation, respite and other services to adults with physical disabilities. Enable Ireland provides free services to over 3,500 children and adults with disabilities and their families from 15 locations and in local communities countrywide. The Friedreichs Ataxia Society Ireland is a national voluntary organisation that cares for people disabled with Friedreichs Ataxia and other Genetic Ataxias. The Irish Kidney Association is a charitable voluntary organisation founded in 1978 dedicated to meeting the needs of renal patients and their families and carers, living with and affected by end stage renal disease. Muscular Dystrophy Ireland (MDI) is a voluntary organization, which was established in 1972 by a small group of people in the west of Ireland to support families who had a member with muscular dystrophy. SBHI highlights awareness of Spina Bifida and Hydrocephalus and supports families, individuals and carers who were affected. The POST POLIO SUPPORT GROUP is an organisation set up by Polio Survivors to assist their fellow survivors, particularly in relation to the Late Effects of Polio. Down Syndrome Ireland is an organisation of people with Down syndrome and their parents and guardians. It aims to promote awareness of Specific Learning Disability (SLD/Dyslexia) and to serve the needs of people with this difficulty. 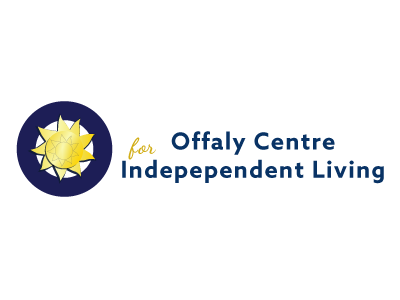 The National Federation of Voluntary Bodies Providing Services to People with Intellectual Disability - a national umbrella organisation for voluntary/non-statutory agencies who provide direct services to people with intellectual disability in Ireland. Ireland’s leading provider of flexible and tailor-made services for people with an Acquired Brain Injury (ABI). an organisation which set out to develop new community services and bring about a change in how people with an intellectual disability were viewed. Inclusion Europe fights for the rights of people with intellectual disabilities in Europe. The Society is Ireland's leading dementia specific service provider with over 100 services across the country. Mental Health Ireland is a national voluntary organisation with 104 local Mental Health Associations (MHAs) and branches throughout the country. Iinformation about the SEN and ICT initiative as well as advice and resources for teachers and others working in the area of ICT and special needs. The Aisling Foundation is a family business founded in 1996 that specialises in Grapefruit Seed Extract and Grapefruit Seed Extract Products. The NCSE is a statutory body established under the Education for Persons with Special Educational Needs Act 2004. MESA exists to support people with disabilities into paid employment while providing effective solutions to employers’ staffing needs. Independent organisation working to promote and defend civil liberties and human rights. HAIL provides accommodation for people with a range of housing need, however our primary objective is to respond to the permanent accommodation requirements of those with mental health difficulties. DisabilityWorld is a unique international online magazine (e-zine), dedicated to advancing an exchange of information and expertise about the international independent living movement of people with disabilities. The Department of Health and Children's statutory role is to support the Minister in the formulation and evaluation of policies for the health services. The Departments mission is to help make Ireland a safer and fairer place in which to live and work, visit and do business. The NDA is the lead state agency on disability issues and universal design, providing independent expert advice to the Government on policy and practice. Comhairle is the national support agency responsible for the provision of information, advice and advocacy to members of the public on social services.